Mandpeshwar Civic Federation, Borivali, Mumbai is organizing 6th Mandpeshwar Civic Federation State Ranking Carrom Tournament 2019-2020 under the aegis of Maharashtra Carrom Association & Mumbai Suburban District Carrom Association. 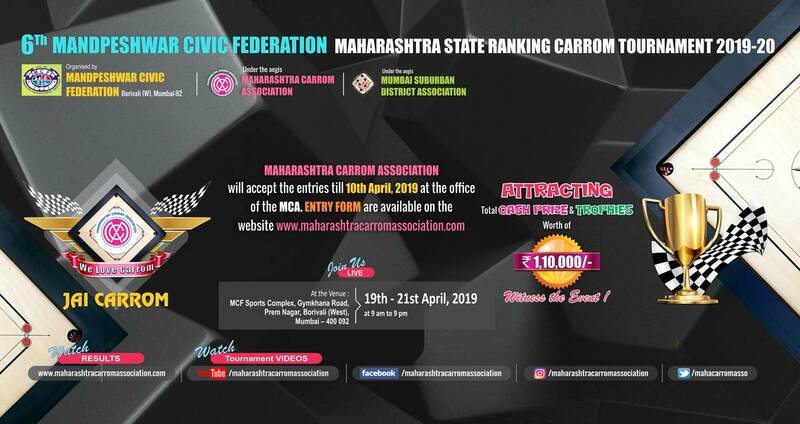 Committee would like to invite you all Carrom Lovers, Fans to enjoy the CARROM GAMES. Date : 19th to 21st April, 2019. 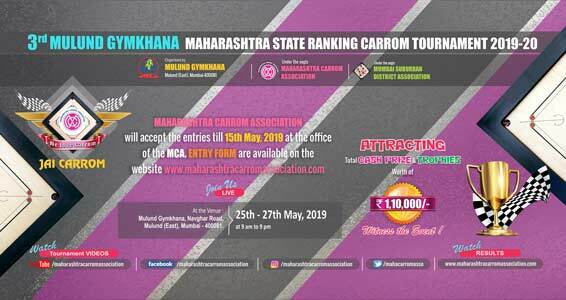 MCA will accept the entries till 10th April, 2019 at the office of the Maharashtra Carrom Association, Worli, Mumbai.